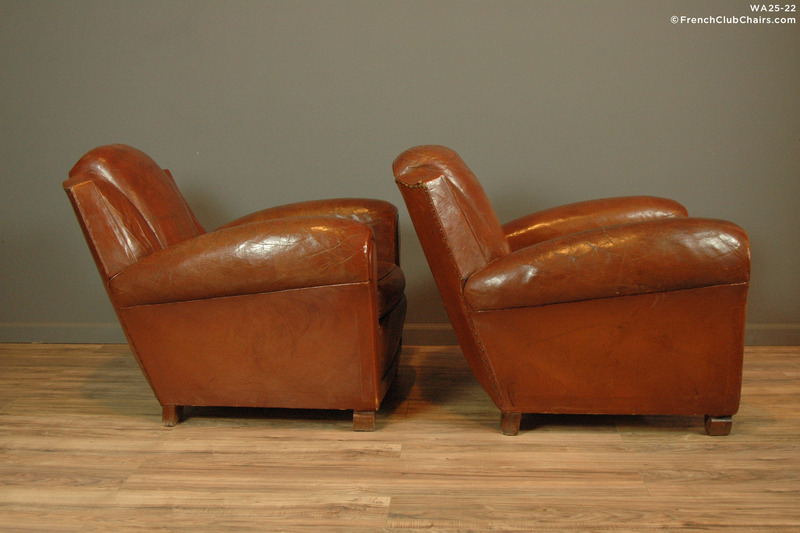 Chatou Great Lounge Dark Cognac Vintage French Club chairs are a striking pair the likes we've not seen before. All original leather circa 1940's. a very deep pair. The leather in is excellent condition. The have a rich, comfortable feel and will be the highlight of any room that they grace.